Mr. Mollemans heads up Pavilion’s Asia Pacific sales trading desk and has 20 years’ experience in Asia equity trading and research. 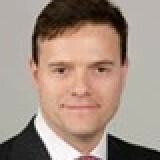 Prior to joining Pavilion, he was Head of Electronic Trading at Credit Suisse Securities Japan. He also worked at Daiwa Capital Markets America in New York as Head of Electronic Trading Sales, and at Credit Lyonnais Securities in Tokyo in Electronic Trading Sales. He started his career as a research analyst in the investment banking division at the Development Bank of Singapore in Singapore and Bangkok. Mr. Mollemans has a Bachelor of Commerce degree (Finance) from the University of British Columbia, a Ph.D. in Econometrics from Macquarie University, is a CFA® charterholder and a Chartered Market Technician (CMT).